After almost nobody even bothered to look at my pretty rum cake, I decided to make a change. I am tired of trying to find vegan recipes and I am going to be traveling quite a bit this year and want to eat what I like. So I guess that I am just going to be truthful and turn my blog into “Omnivore” and post when I feel like it. Over the past few weeks I have made a few interesting dishes and thought I would post about them. 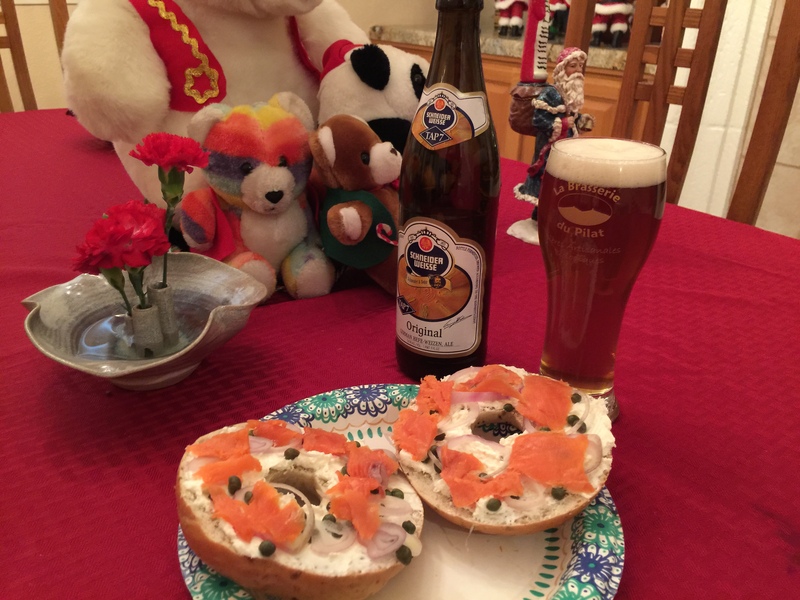 First is our Christmas Breakfast of Champions, bagels, cream cheese, capers, onions, and lox all washed down with Schneider’s Weissbier (Tap 7). No mimosas for us! Christmas Day our son made dinner. 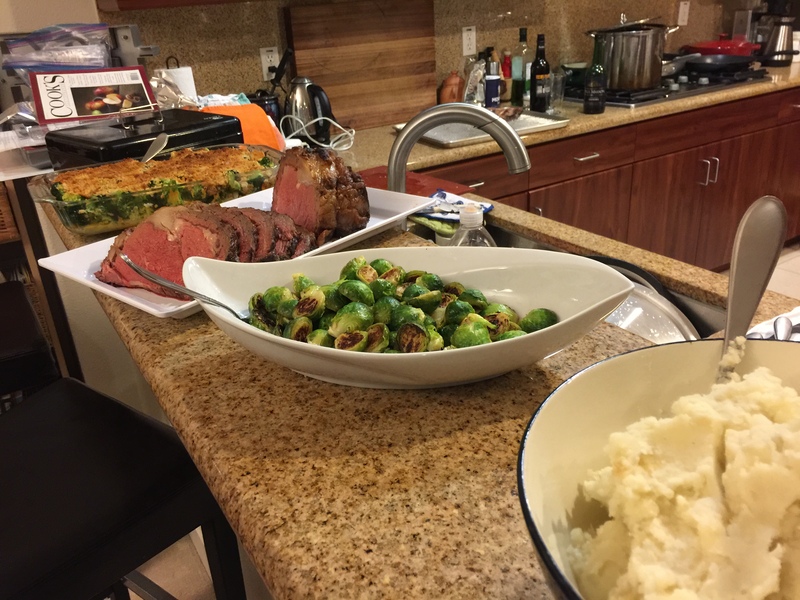 We had prime rib, mashed potatoes, death by broccoli, Brussels sprouts, and several pies made by his mother-in-law. Our contribution was to pay for the meat and bring the wine. He did a great job! 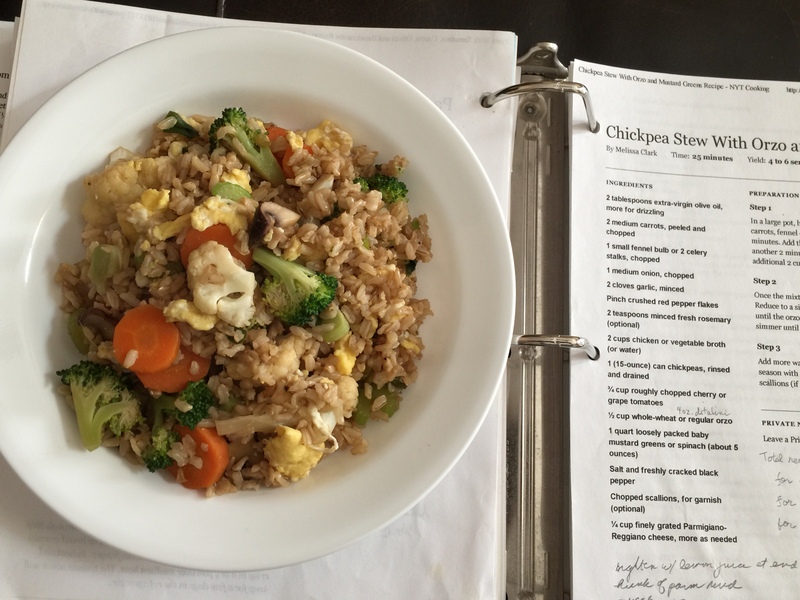 After the Christmas hoopla I made a tasty vegetarian fried rice that turned out pretty well with some egg and leftover brown rice and vegetables that were wilting in the refrigerator. It sits upon my recipe folder. I keep all my recipes that I have tried and as you can see I make notes on the ones I have made so I know what to add or subtract next time I make it. I am making the chickpea soup soon and using my experiences to improve it. 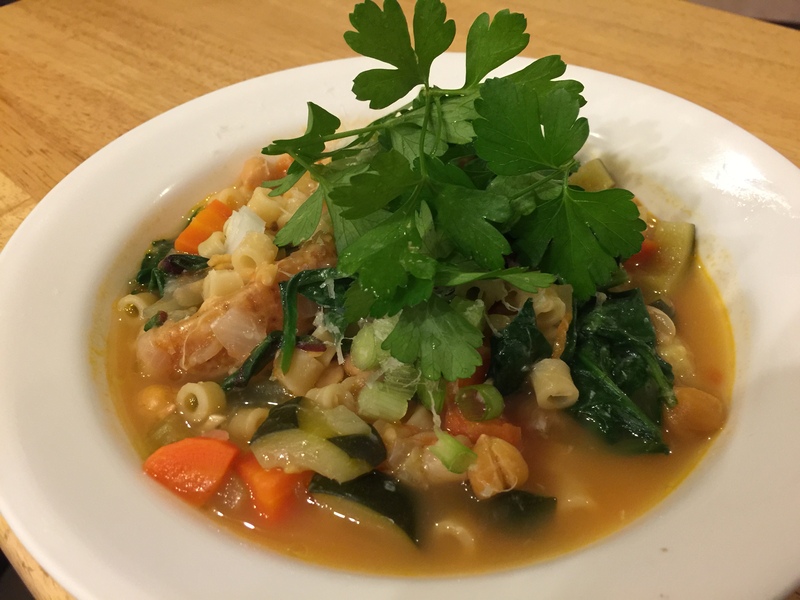 This is the chickpea stew made with ditalini instead of orzo and spinach instead of mustard greens. 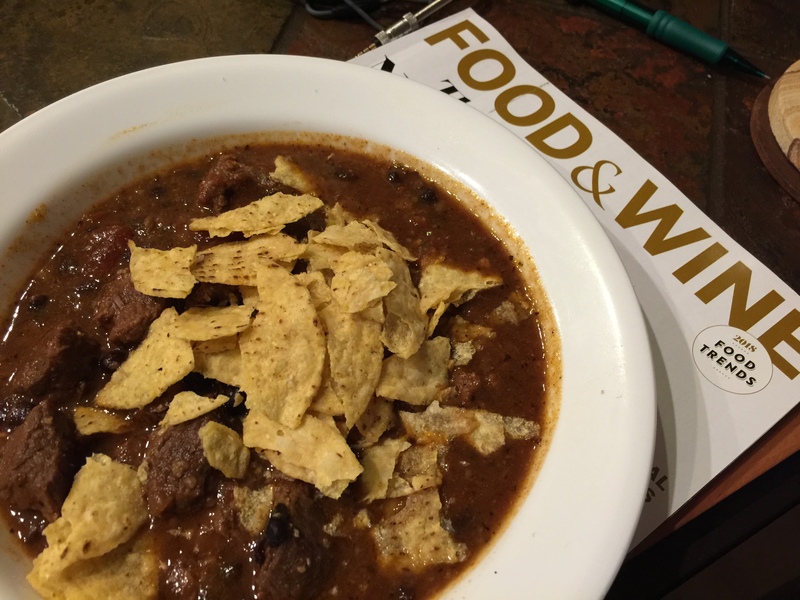 I got an Instant Pot for Christmas and the first thing we tried in it was lamb chili. It turned out well but I learned that I need to adjust the amount of liquid to less or else it will come out too soupy. I have not been too good about taking pictures here in St. George but so far we have made pasta with meat sauce, chicken breast with brown rice and mixed veg, pasta fagioli, fried scallops with new potatoes and spinach, steak with grilled potato and broccoli, and barbecued chicken with brown rice and broccoli. Whew! That is a lot of cooking! 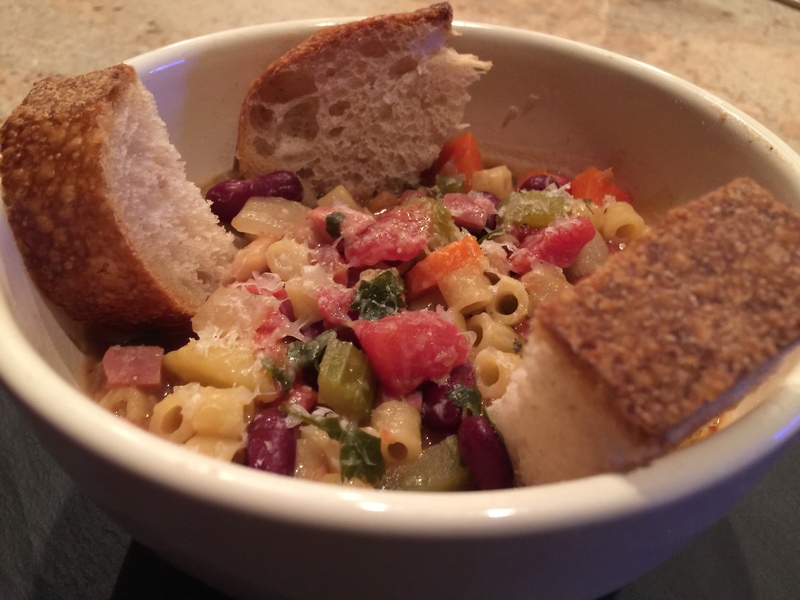 Here are two pictures I did take, Chicken Monday and Pasta Fagioli. I will be trying to post more frequently and get back to taking pictures. 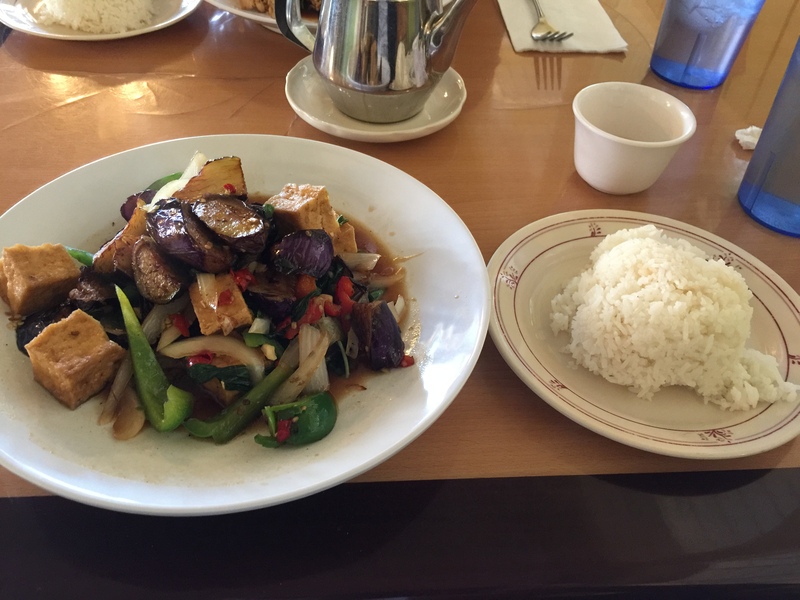 Hope you will enjoy what I eat! 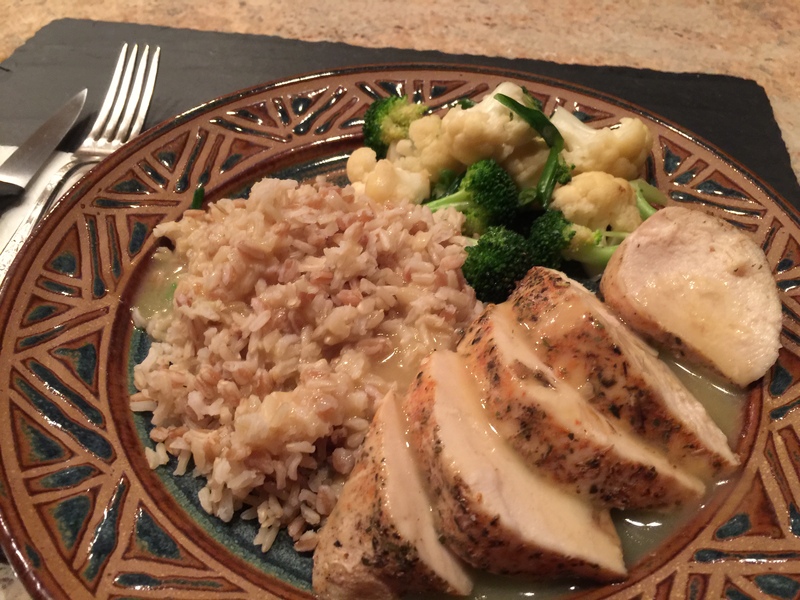 This entry was posted in Beef, Grains, Grilling, Kitchen tips, Lamb, leftovers, Legumes, Pasta, Poultry, rice, Uncategorized, Vegetables and tagged omnivore. Bookmark the permalink.